N.B. You can only invite a user if you are an Admin yourself. So, if you're reading this and you think you need a new user added, and you're not an Admin, then best to get in touch with your Campus admin account holder and ask them to do it for you. 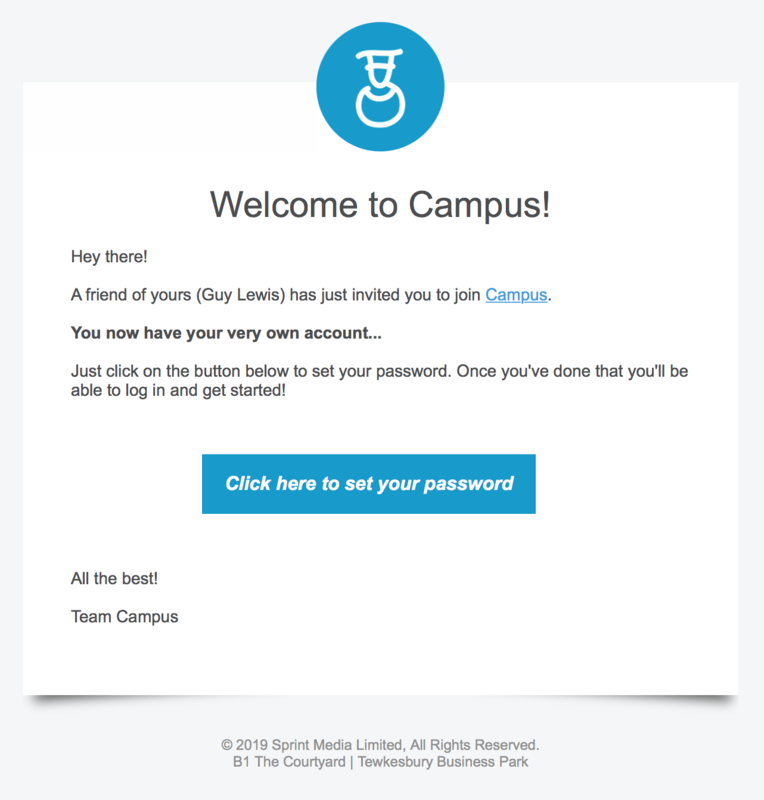 To invite a new user to your Campus plan go to your Account module (by clicking on the Account item in the dropdown menu underneath the user picture top right of your screen). Then select the Users item in the submenu. You'll then be fired over to the Users page. 1. Click on the Invite a User button top right of the page. 2. 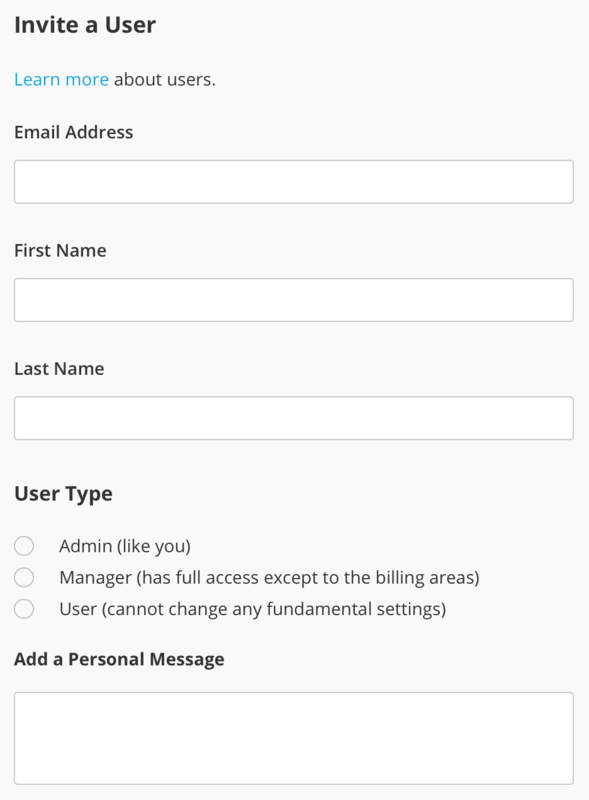 A slide in window will appear for you to fill out the user's details. 3. The next step is pretty simple. Just fill in the new user's email address, first and last name, choose the User Type ( review those here if you need to) and then add a personal message to your user invite if you like. Then click the Send Invitation button. In the meantime your user will then receive an email that looks like this. They will need to then go and setup their own password by clicking on the blue Click here to set your password button. So you just received an invite from a colleague? 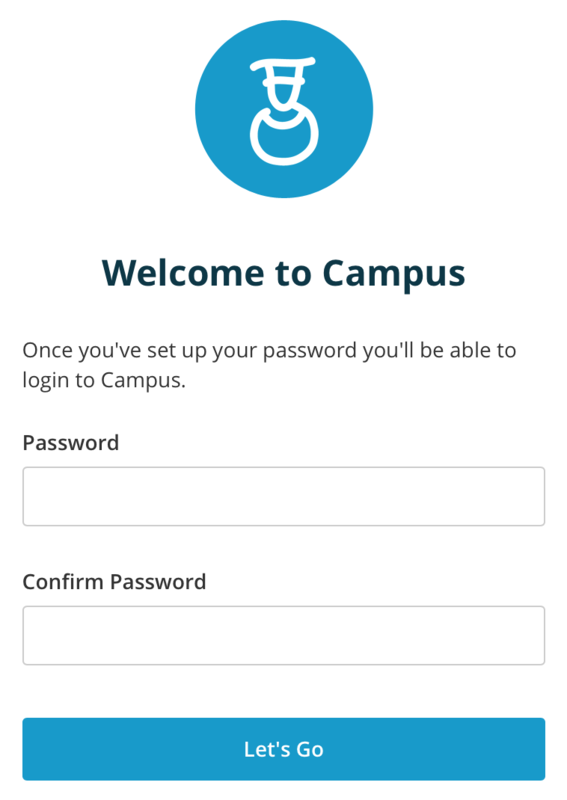 It's super-easy to get logged into Campus. Just click on the Click here to set your password button and you'll have to set your password. Simply enter it (twice) and click Get Started. You'll now get logged in. Your first steps should be to set up your profile which you can read about here.